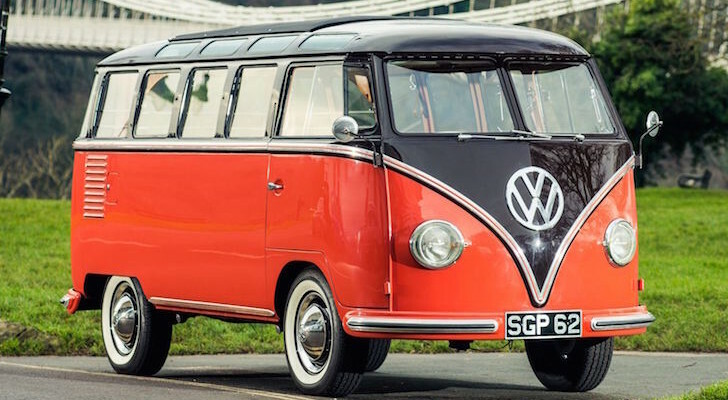 No matter how creative and tech-savvy manufacturing becomes today, there will always be something that draws you to classic cars and vintage RV’s. Perhaps it’s that they remind you of a simpler time, their timeless good looks, or maybe the novelty of owning a rolling antique. 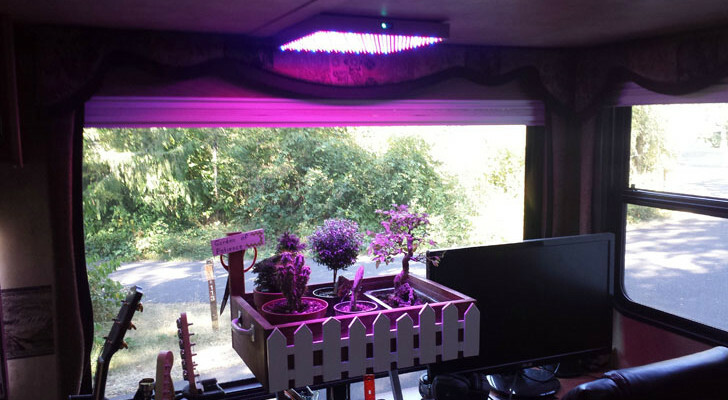 It seems that Wallace H., a reader from Spokane, WA shares this admiration and sent us over an amazing set of twins! 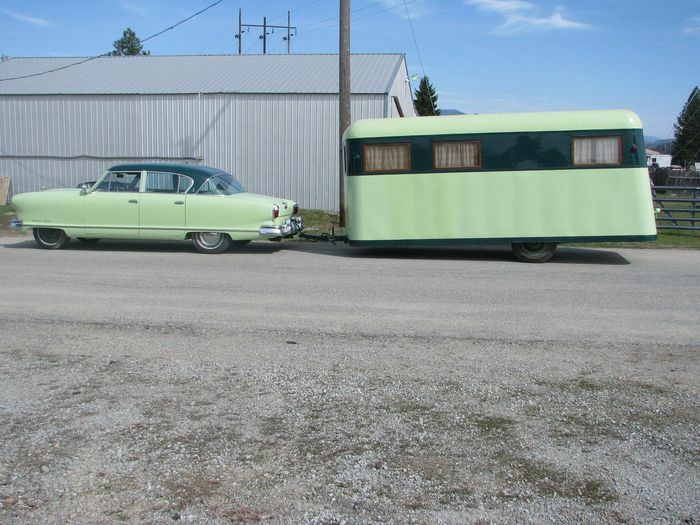 He found this 1954 Nash Ambassador Custom that pulls a rare 17 ft. 1939 Covered Wagon Company Trailer. 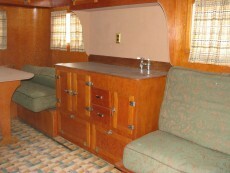 The Nash has a rebuilt engine and is able to pull the Covered Wagon trailer at highway speeds! 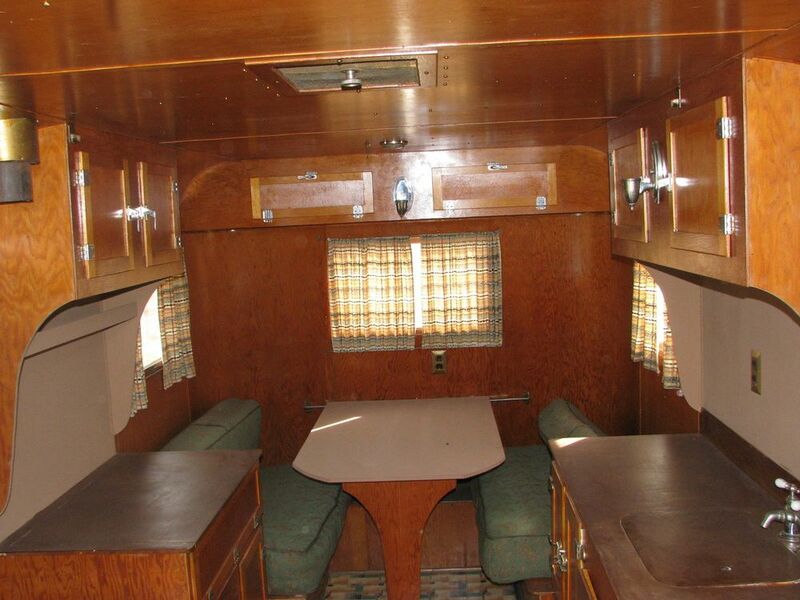 Before there was Detroit muscle, there was Detroit travel trailers. 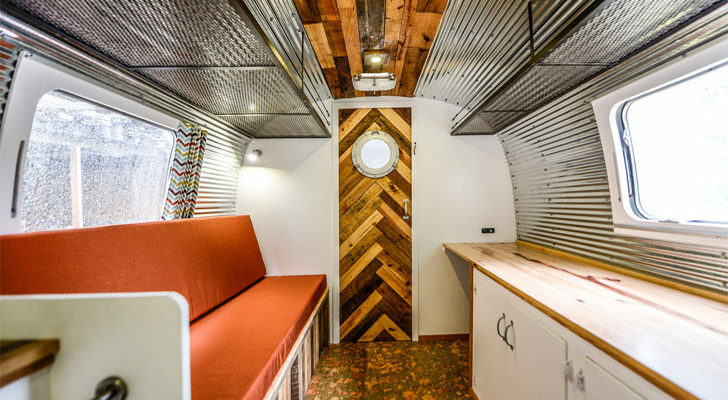 In 1929, an inventor named Arthur G Sherman started his travel trailer manufacturing company after a less than desirable camping trip with his family. 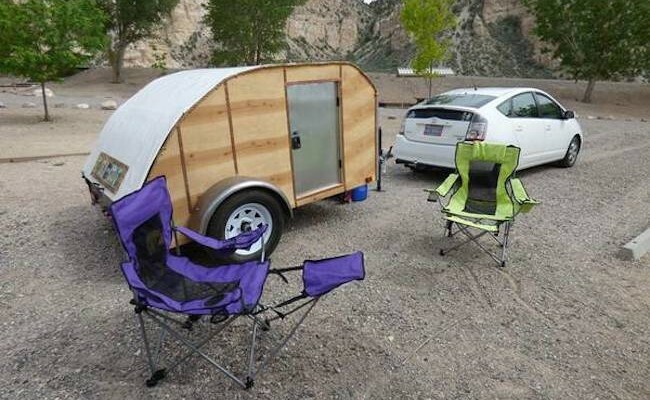 Upon his return, he set out to build a more robust camping trailer for his family that he referred to as the “Covered Wagon”. 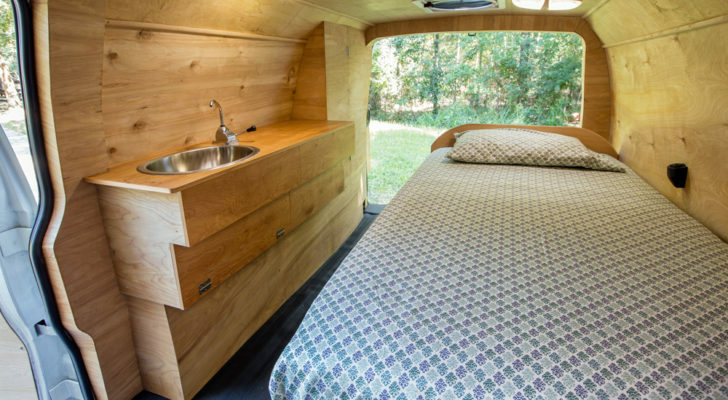 Sherman found some garage space, hired a few woodworkers, and started making trailers. 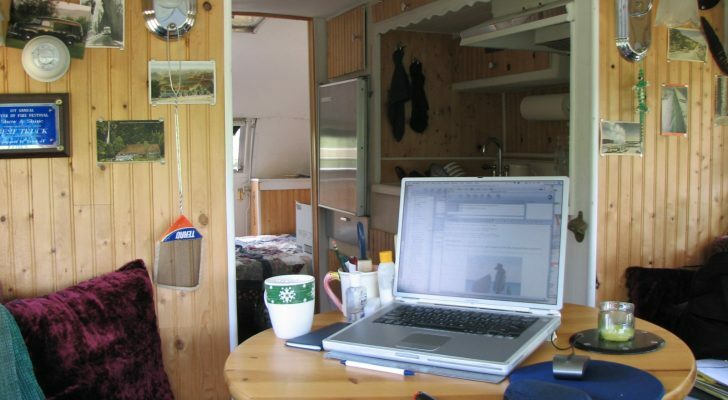 After showing off his work at the Detroit Auto Show, he went on to sell 117 trailers over the next year. 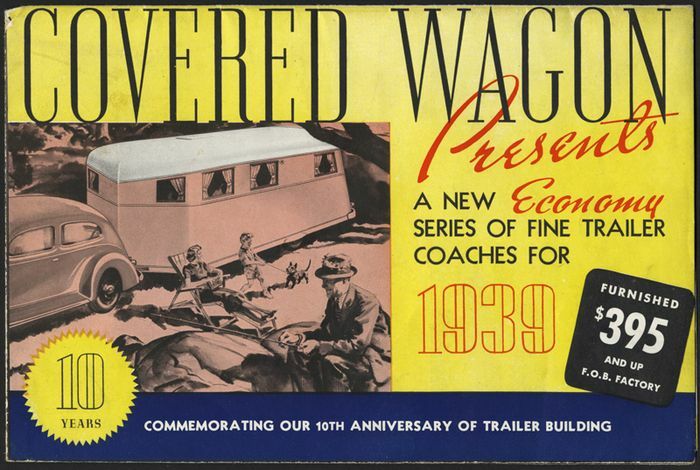 5 years later Sherman’s Covered Wagon Company was manufacturing 1,000 trailers a month. 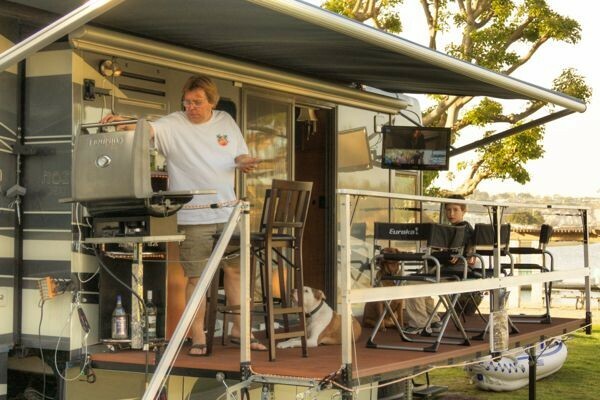 By this time they were the largest travel trailer manufacturer in the US. 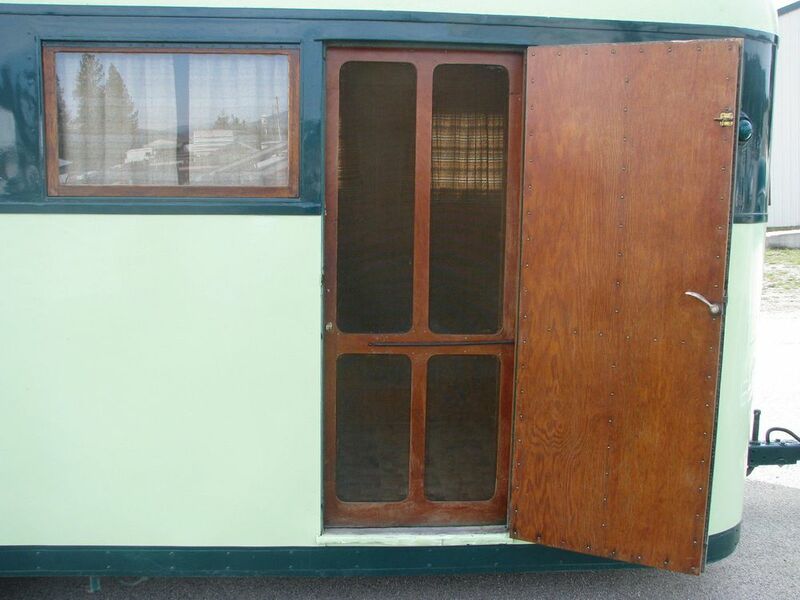 Before the company was converted to manufacturing truck bodies in WWII – and its dissolution soon after the war ended – the Covered Wagon Company was credited with many innovations in the RV industry, such as standard electric brakes and zinc-coated steel/plywood exteriors. You can read more about the history of the Covered Wagon Company here. This green beauty weighs in at 1,900 pounds and is nearly original. It’s in fantastic condition considering it’s over 75 years old. 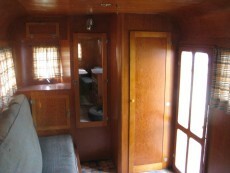 There has been significant work put into its restoration. The exterior was freshly painted a few years ago and the roof was recently resealed. It’s got a rebuilt axle and brand new tires. 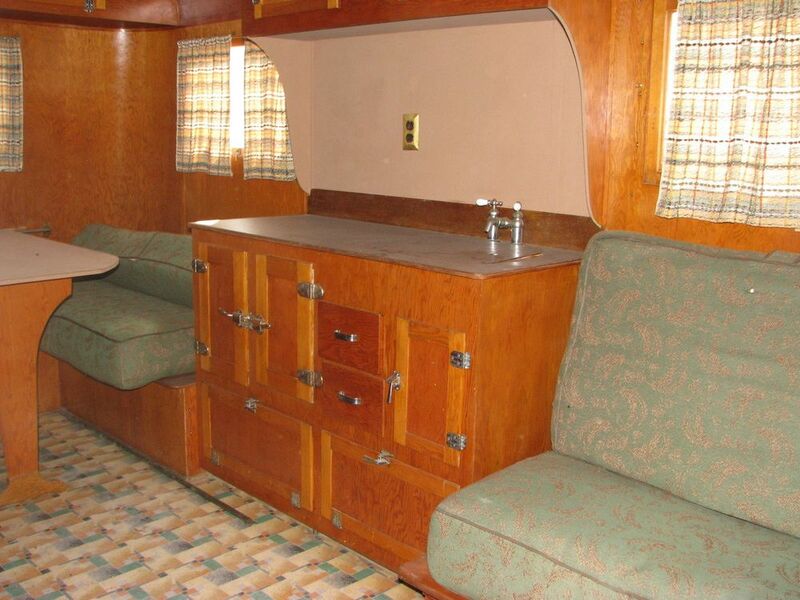 The trailer features the original wooden icebox, cabinets, fixtures, window frames, furniture, and flooring. 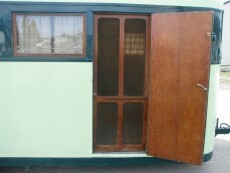 According to the owner, these trailers did not feature holding tanks. 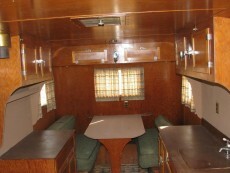 However, the interior is incredible with its curved wood ceilings and original cabinetry. 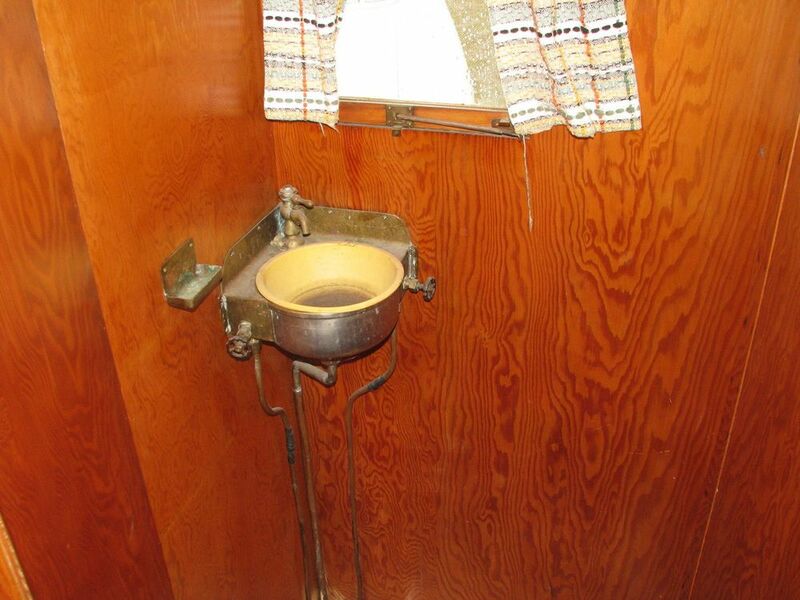 Having a look at the sink certainly makes you think about how far we have come in RV creature comforts. 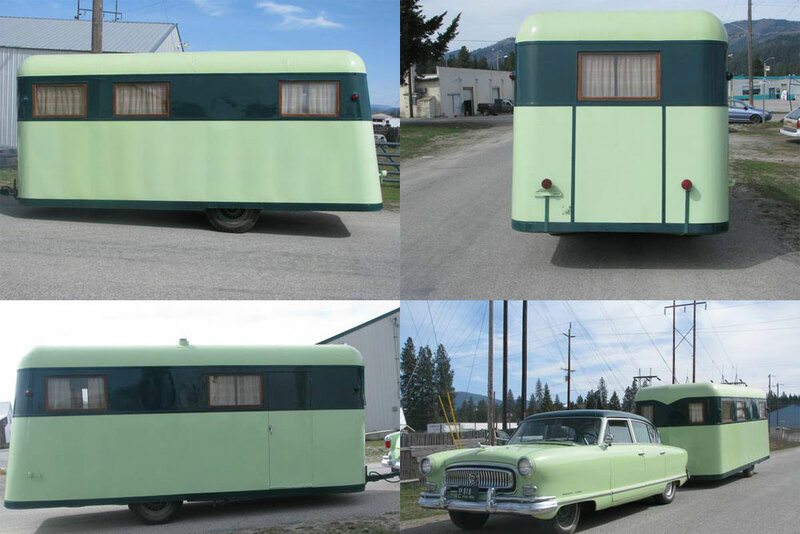 Although the ad is now down, Sherman put this Covered Wagon Company trailer and its Nash companion for sale on Craigslist. The price was just under $30,000 for the pair. What do you think? Something you would like to have someday? 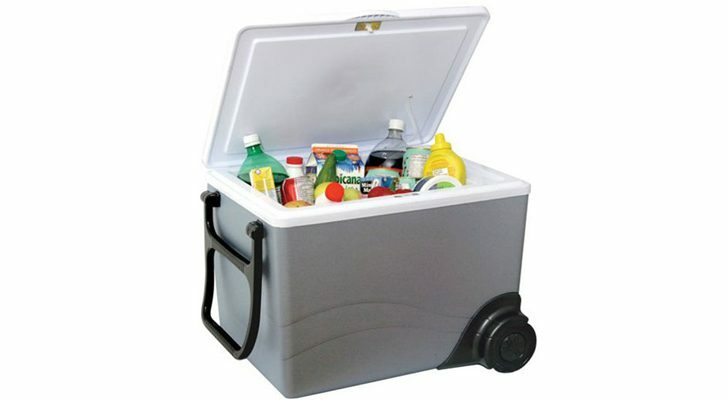 Do you already have something similar? Please share in the comments section below!